This year’s Women’s World Cup final was more than a triumph for the US team or a ratings win for broadcaster Fox. It was a full-fledged cultural moment that sent a clear message to broadcasters, marketers and the world — women’s sports matter. People care about them. The stunning final match saw greater viewership numbers than any World Series since 2004 and beat every NBA final since 2010. There’s no denying the numbers, and yet Fox only pulled in an estimated $17 million in ad dollars, just a fraction of the $529 million ESPN made from the men’s tournament last year. It’s now becoming clear to a lot of people that women’s sports — and not just World Cup soccer — represent a huge opportunity that marketers have been overlooking. As fan interest grows in both the sports and the personalities of the athletes themselves, there is an opening for brands beyond "traditional" sports advertisers like beer and automotive brands to get their message out to an energized audience. But before making the leap, brands need to be asking themselves where they can fit in, if at all, and how to connect in a way that’s meaningful for both the brand and the fans. Find the truth. It doesn’t matter if you’re selling beer or makeup; if you want to connect with sports fans, you need to understand how they connect with each other and the game itself. Every sport has its traditions and fan quirks, even those that are still in the growth stages. Women’s sports could be a unique opportunity for a brand to say something new and find an insight that hasn’t been covered over and over — like so many of the tropes we see in men’s sports marketing. What matters is that you pinpoint a truth that fans can latch onto, and that this truth aligns with your brand story. 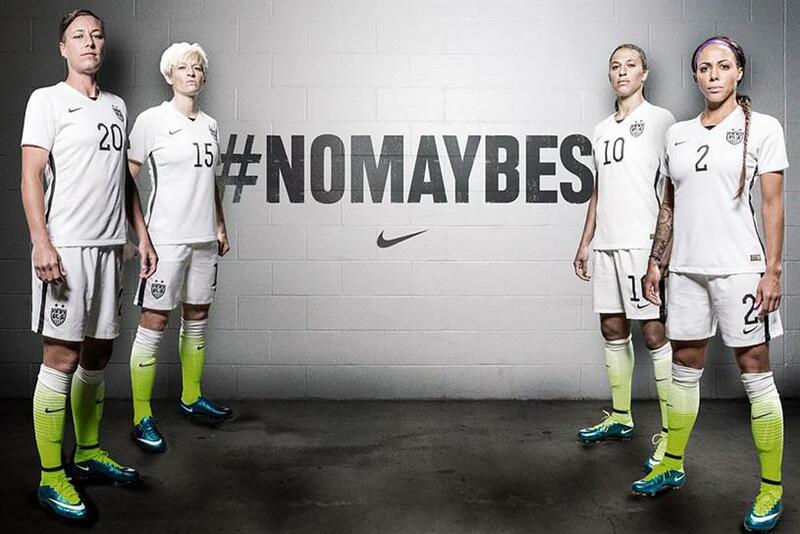 A recent example of a brand doing this well is Nike’s #NoMaybes hashtag campaign, which brought fans together over the Women’s World Cup by putting a spotlight on the uncompromising dedication of the US women’s team as they ascended to the championship. It was a story that felt true to what was happening to the team, and one that served as an inspiration to the everyday athlete. According to data from Amobee Brand Intelligence, the result was that Nike was 121% more associated with the games than the tournament’s official sponsor Adidas, who took a more traditional sponsorship approach. Support the fans. Remember who you’re trying to connect with — the fans. Think about why they love the game. Show them that your brand is sharing in and supporting the experience. Here at Innocean we recently used this approach to great success around the Men’s World Cup for Hyundai with the #BecauseFutbol campaign, which asked fans to show each other the crazy things they do because of soccer. By celebrating the real life passion of the fans and bringing them together to share in it, we were able to turn a hashtag into a pop culture moment — and increase Hyundai’s brand recognition by 304% at the same time. Enhance the experience. Instead of trying to divert attention with your brand message, use media and technology to enhance the fan experience. How can your brand help fans get closer to the game? What tools can you offer them to foster communication and community among themselves and the players? High-tech tools like LISNR are already in use at baseball games and other events, sending audio signals that are inaudible to the human ear directly to fan’s smartphone apps, supplying game updates and enhanced content. The possibilities of what you can do with new technology through smartphones and social media are basically limitless at this point: brands just need to think outside the traditional sponsorship model to make it happen. Connect with players’ stories. There are few brands that wouldn't benefit from aligning themselves with a powerful, personal story. As the popularity of women’s sports grows, brands will have more great athletes with burgeoning fan bases to forge relationships with. In fact, Visa has already signed breakout star Carli Lloyd for an endorsement deal and there are reports that she’s close to landing a few more. But to make the connection even stronger, it’s important that the brands looking to engage Carli, or any athlete or personality, connect with her personal story at the same speed they’re looking to connect with her fans. As a passionate soccer fan myself, I couldn’t be more excited to see what the future holds for the sport in the US. Uwe Gutschow is senior vice president, innovation and technology, with Innocean USA.